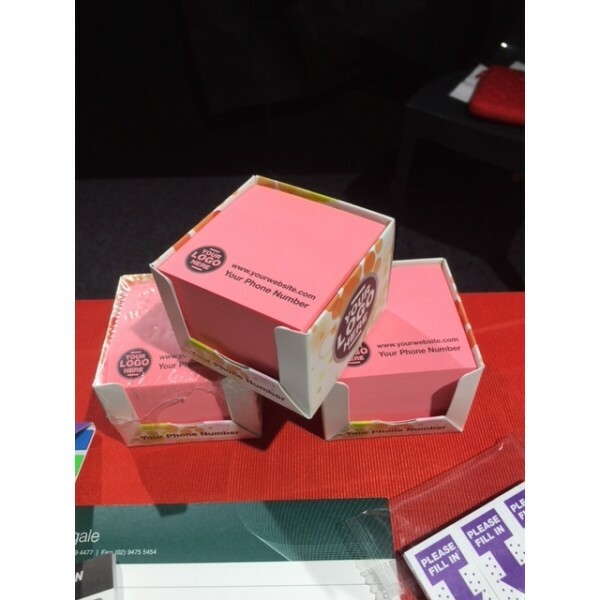 Customised Sticky Notes Cubes in Boxes are a great way to promote your business time and time again through a logo print of your brand on every sheet of paper. Your clients will love this cubic note square that comes in it's own box to secure the pages and keep them held together free of bent edges. Customize the cube with a text or logo of your choice. The cube pages can be printed in one-colour on all sides of the cubic pad and on each paper sheet. The secured box can be printed in a range of colours to promote your business or company. The cost of these economical and practical cubes includes the one-colour printing on each page. Pricing also includes a digital full colour print on each side of the Cube box. Price excludes GST. Printing is done within Australia and product(s) can only be delivered to customers within Australia.